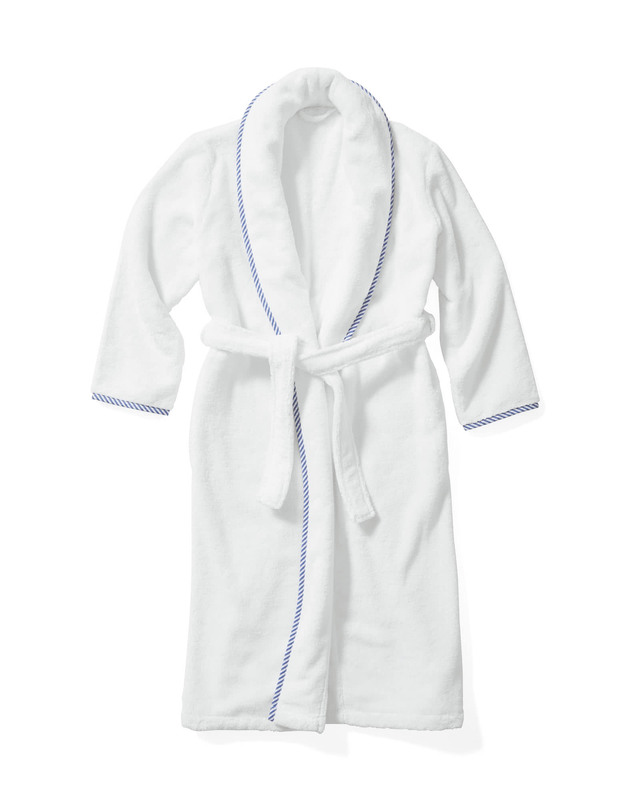 Oxford Bath RobeOxford Bath Robe, alt="Oxford Bath Robe, "
Print Woven from pure Turkish cotton, our robe envelops you in comfort. We gave it a nice design twist with yarn-dyed piping in blue-and-white stripes. Small: 47"L overall; 20" shoulder to shoulder; 14" chest. Medium: 50"L overall; 21" shoulder to shoulder; 15" chest. Large: 53" L overall; 22" shoulder to shoulder; 16" chest.